Building wraps on construction sites are getting more popular as the need for keeping up appearances are more important now than ever. Many of the older buildings in London are decorative and have become part of our British culture. As a result, much of London has become a conservation area. But older buildings do need constant maintaining and refurbished. Often scaffolding must be erected making the building look very unattractive. The decorative building wrap reduces the visual disruption to the townscape. Decorative building wraps serves many purposes. Mainly it hides the eyesore of a construction site. This helps the local community as it demonstrates that the owner, developer or contractor is a considerate one and is thinking of the community. 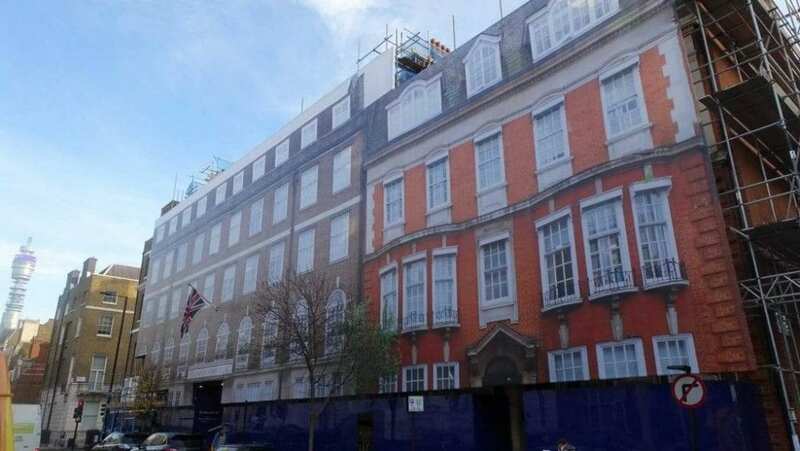 The decorative building wrap mitigates the visual impact it has on the residence and local shops and reduces the visual disruption to the townscape. Building wraps also reduces dust pollution and noise. 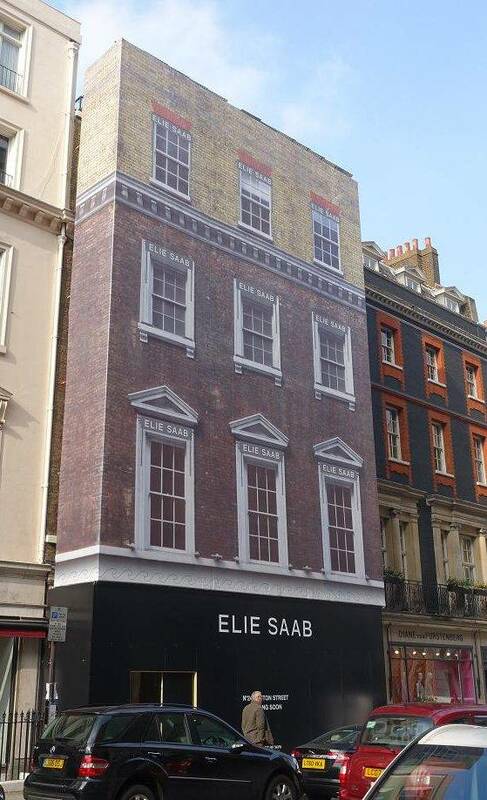 Building wraps are made from a digitally printed mesh and printed in five meter wide sections. Five meters wide is the largest width we can print as the digital print machines are not made any larger. 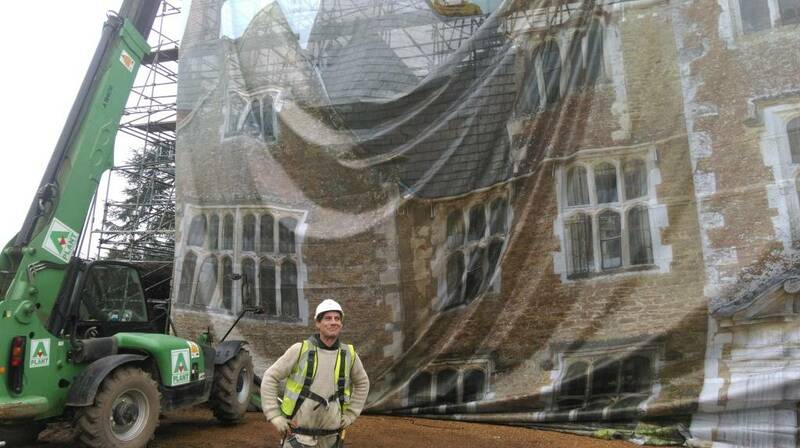 There is a misconception that building wraps are printed onto a mesh to let the wind through. Whist this is true to a degree its mainly because its half the weight of solid PVC material. Because of the overall size we print weight is a challenge. Mesh weighs approximately 300 GSM (grams per meter square). Solid PVC weighs 500 GSM. 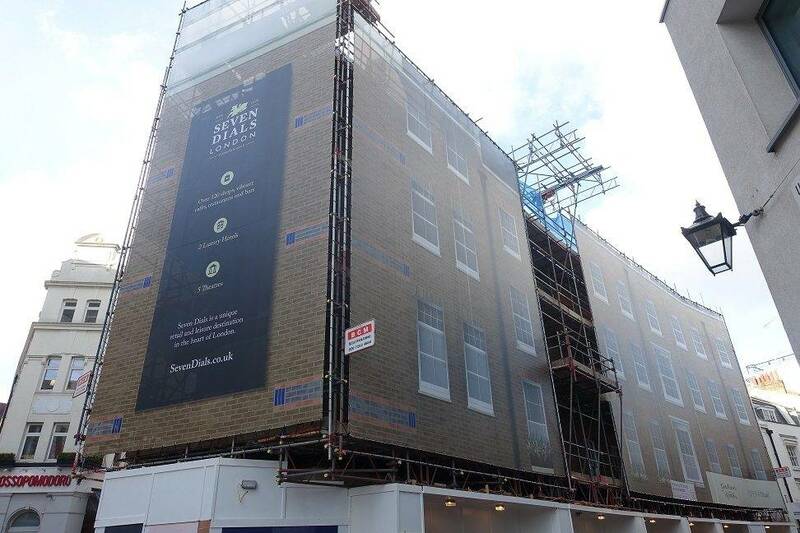 To put it into context a 14 meter x 40 meter wrap totals 560M2 (same as our printed building wrap on Harley Street ) In mesh the wrap would weigh 168 kg. In PVC it would weigh 280 kg. The recommended safe lifting weight for a man is just 25 kg. Almost no air passes through the mesh material creating a huge load on the scaffolding structure. The energy from the wind must go somewhere. Therefore when considering a building wrap the scaffold contractor must be informed at an early stage. This is so the scaffold designer can engineer the scaffolding to take the necessary wind load. Amending the scaffolding once it has been erected to accommodate the building wrap, is very expensive and often not possible. Beacuse the wind-load calculations might not be workable. Building wraps are not limited to just buildings. The building wraps we produce are mainly decorative to hide ugly structures. But are not limited to just buildings. Printed wraps can be installed onto fire escapes, welfare cabins, portable offices and even in a lift shaft! If the structure is strong enough to take the wind load we can cover it with a digitally printed covering. The structure does not have to be a uniform shape either as we can wrap complex shapes and dimensions. The difficult element of the digitally printed building wrap is installing a sub-frame for the mesh print to be wrapped around. This part of the project needs to be carried out, as its not possible to install the wrap directly onto the main scaffold structure. The scaffold structure has many clamps and uneven protruding poles which are sharp and could pierce the mesh banner. 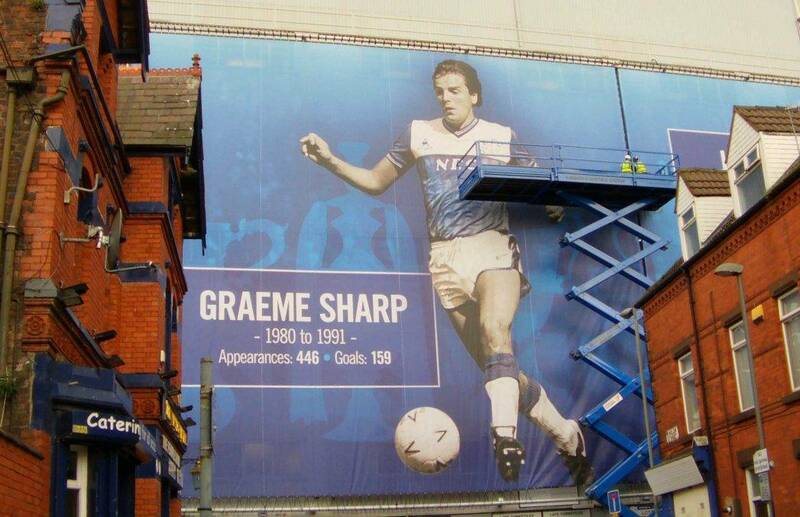 Once the banner has been damaged it starts to lose its integral strength and can tear like a fabric. London being the most densely populated city in Europe has a high footfall in the city center making it ideal for OOH (Out Of Home) advertising opportunity. With the price of the digital print coming down large scale building wrap advertising is an effective advertising medium. However, the rules on advertising above 4.6 meter (3.6m in conservation area) from ground level are very strict and for good reason. We can all agree we would not want to see London like some of the streets in Hong Kong. Building wraps with advertising on will need to obtain planning consent for advertising. Advertising is anything from a web address and telephone number to a full blown billboard advert. Planning consent is very difficult to obtain but not impossible and will take much persuading. The default position of the local planning authority is no, so advertisers will need to have good reason for the advertisement. 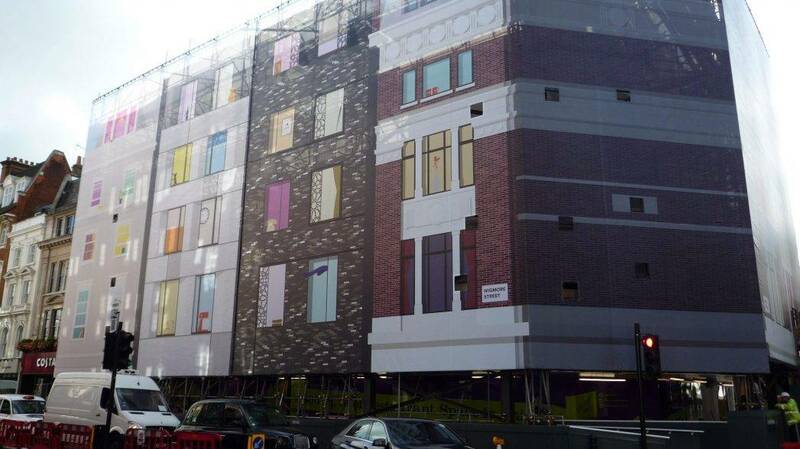 We have had some success with the planners agreeing to part decorative, part advertisement building wrap. The larger area would more likely being decorative, than the advertisement area. This way the construction site would look as attractive as possible and can generate some revenue which would part pay for the cost of the building wrap. Getting the design right is vital as a poor design will not work well. This is where Project Print Management experience can either work with your own in-house design department or we can produce the artwork for the building wrap. From taking the photography by drone or by still camera to surveying the building. 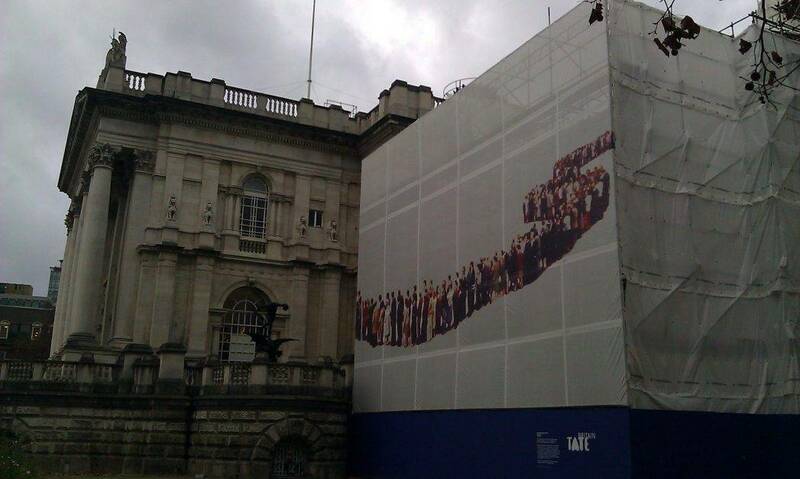 If the photography of the building needs to be done, remember it need to be done before the scaffolding goes up! Believe it or not some clients have instruct us to carry out the artwork to find the building has already been covered with scaffolding. For some of our latest building wraps project please visit our blog page. 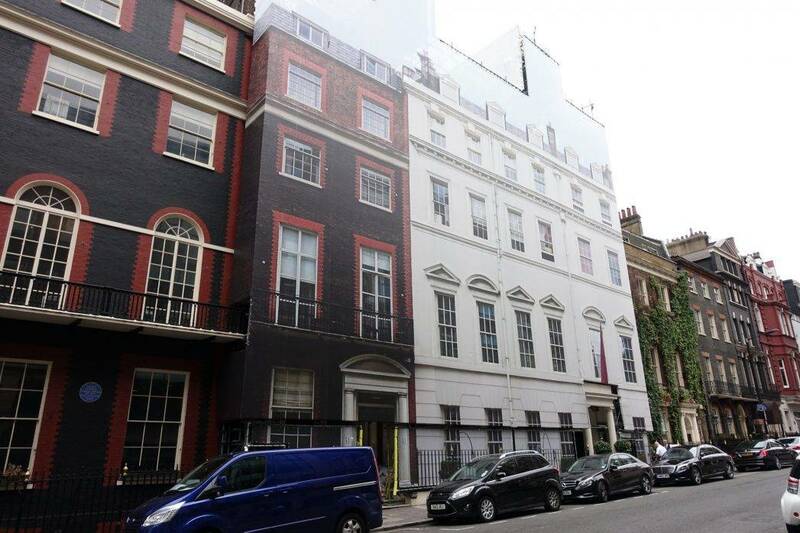 or for information on our Trompe l’oeil Building wrap click here. 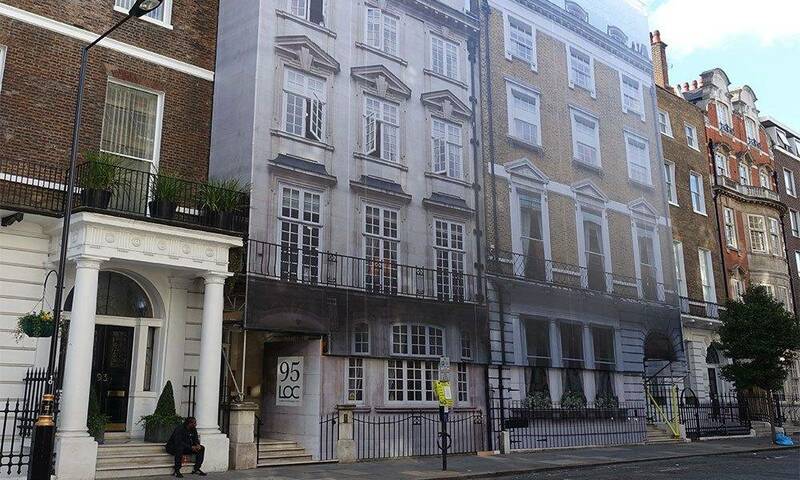 Information on Trompe l’oeil building wraps are a great way to hide ugly scaffolding.